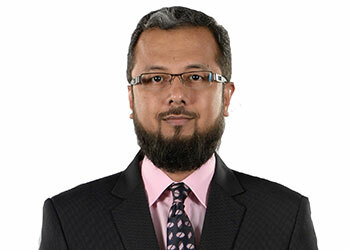 Yousuf Zohaib Ali | TPL Trakker Ltd.
Mr. Yousuf Zohaib Ali is the Chief Internal Auditor of TPL Corp. He is an associate Member of Institute of Chartered Accountants of Pakistan and Certified Information System Auditor – CISA from International System Audit and Control Association (ISACA). Formerly, Mr. Ali was Head of Finance at Beltexco Limited, the largest manufacturer and exporter of industrial and safety gloves in Pakistan. He also worked as Manager Finance at Avery Dennison, a fortune 500 company, and manufacturers and exporters of labeling materials for the world’s largest brands. Mr. Ali completed his 4 years article-ship from an associated firm of Deloitte in Pakistan and Saudi Arabia having diversified exposure in Banking and Finance, Manufacturing, Aviation, Telecommunication, FMCG, Automobile, Petrolium, Chemical, Electronics and Hospitality Industry. He has wide experience in the implementation of ERP in the organizations he has worked for.